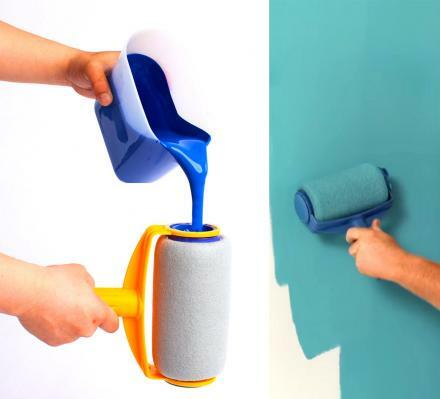 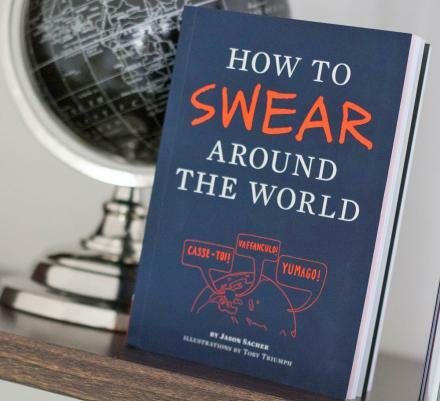 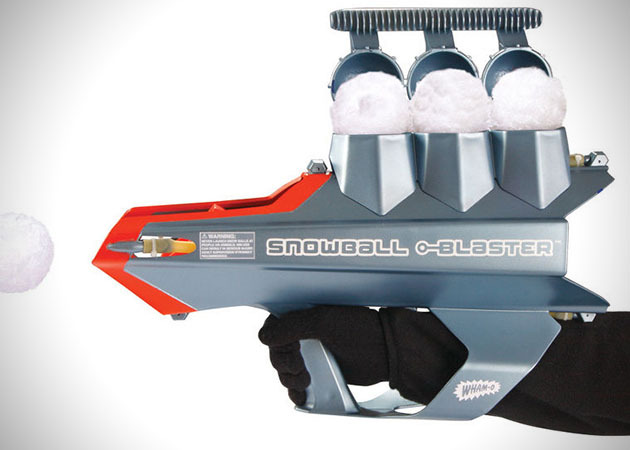 Creating snowballs is terrible work that nobody likes, but everyone needs to do it at some point in their life. 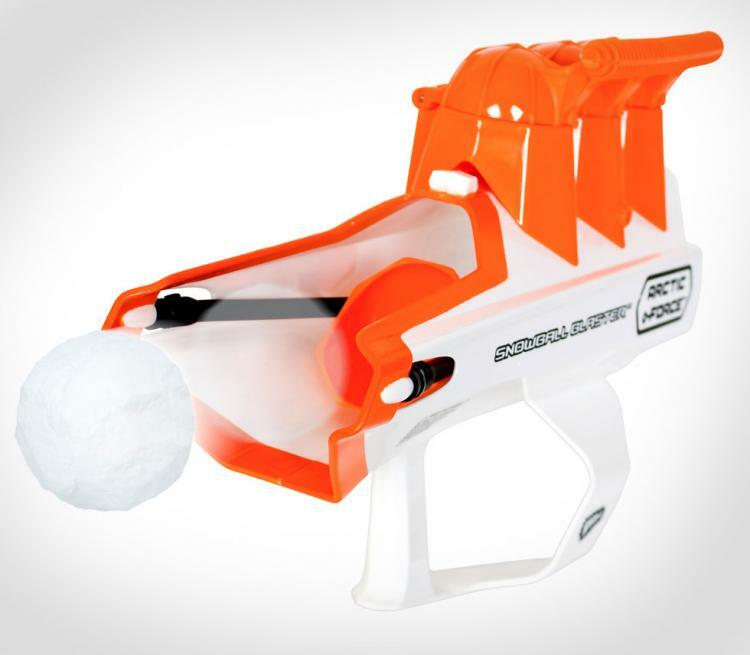 If only there was a gun that could create and launch snowballs so all you had to do was pull the trigger to see a ball of icey snow smash into someones face. 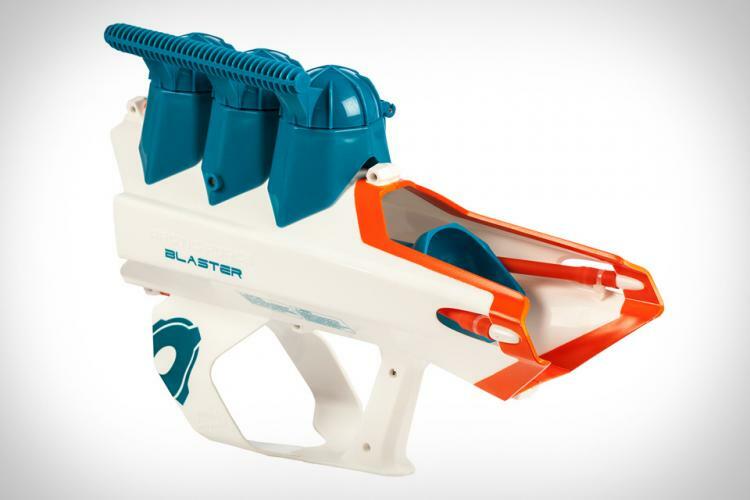 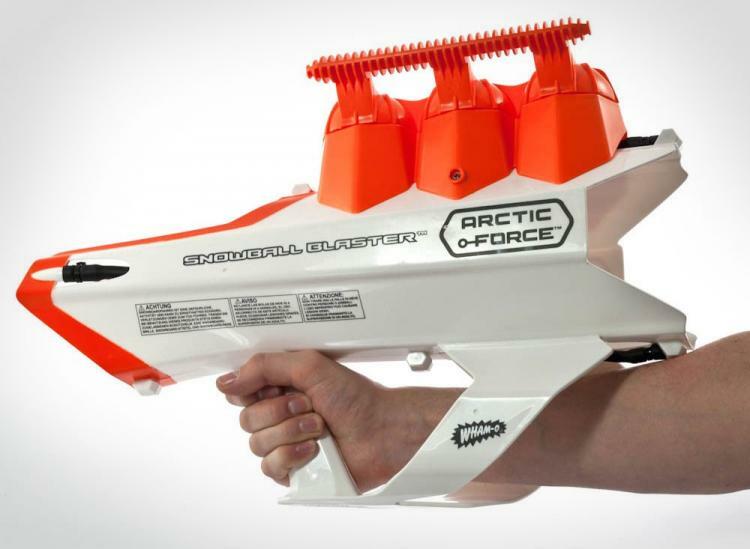 The Arctic Force Blaster is a snowball gun that both makes the snowball for you and then can launch it up to 80 feet in distance. 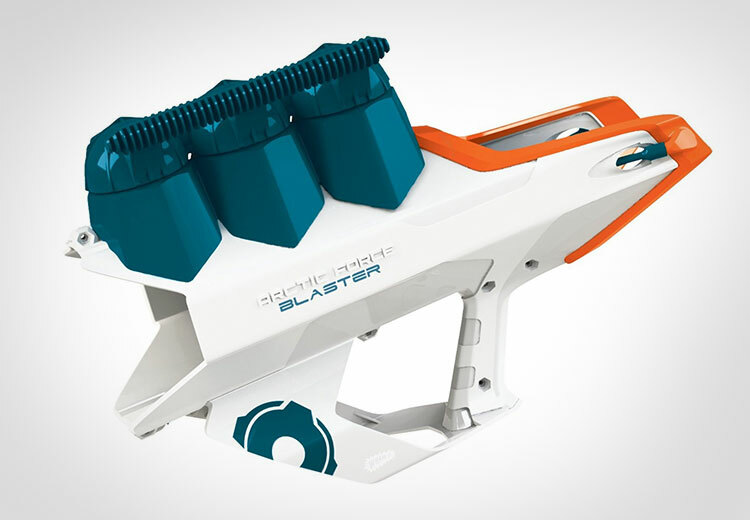 To use the snowball blaster, simply open the cavern that's located on the top of the gun, insert snow in the three chambers, and press the leaver down to instantly create 3 snowballs at the same time. 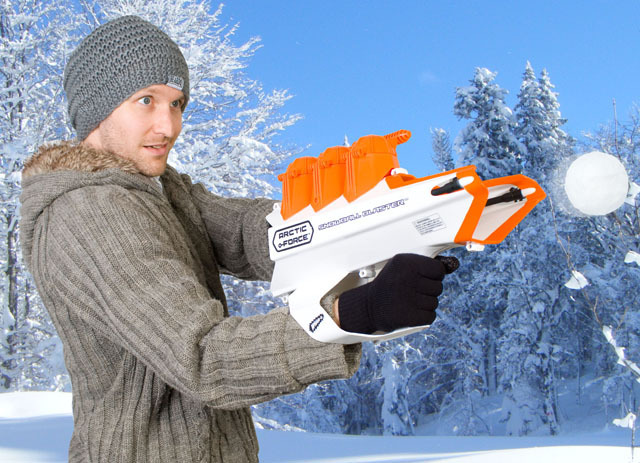 To launch a ball of snow remove a snowball from the forming chamber, place it in the muzzle of the gun, aim the gun at your worst enemy, pull back the slingshot and release, and look on as your enemy quickly tries to remove the snow that fell into his jacket after a pile of snow just rocked him in the face. 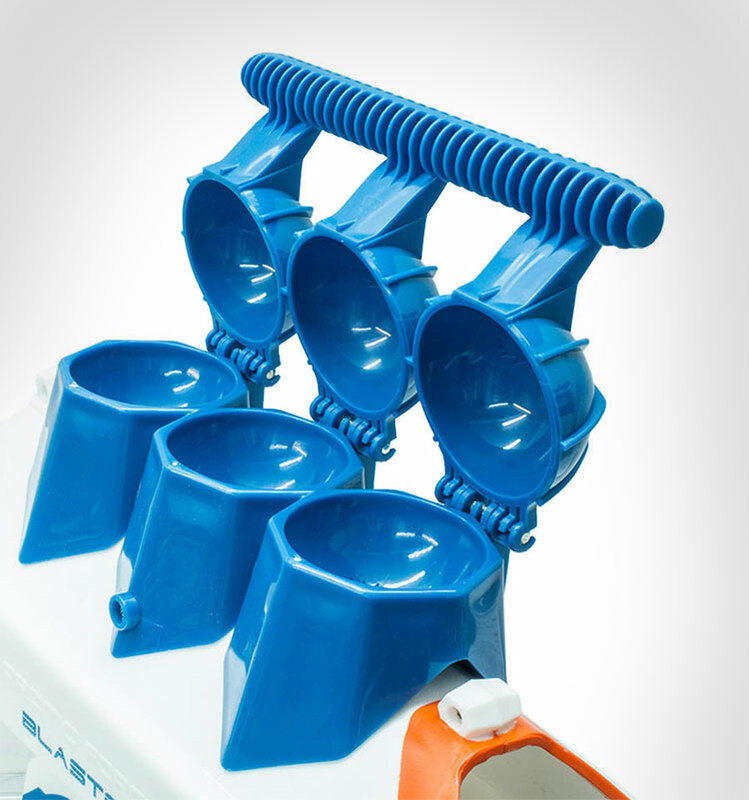 The snowball launcher is made from durable cold-resistant plastic, is for kids aged 8 and up (or adults), includes targets for practice shooting, measures 17.5 inches long x 12 inches tall x 5 inches deep, and weighs 2.5 lbs. 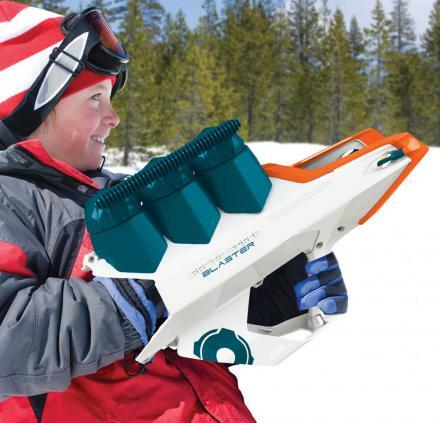 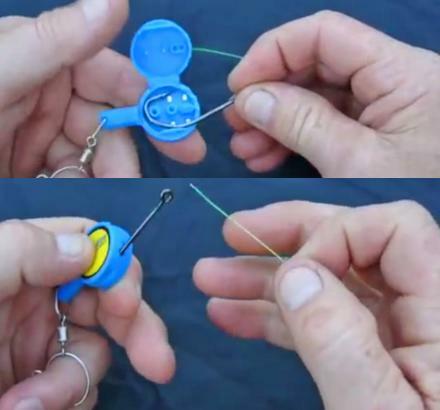 Be sure to check out the snowball launching gun in action via the video below.